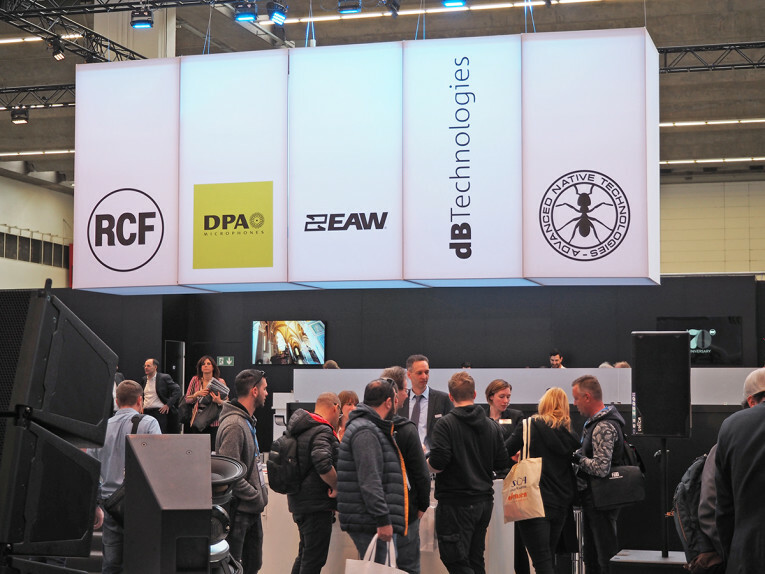 With Prolight+Sound 2019 becoming a single-hall trade show, it was hard not to notice a large area of the exhibits where RCF Group combined for the first time all its companies, including RCF, dB Technologies, EAW, DPA Microphones and its ANT brand, created in 2017 for the musician and performance markets. 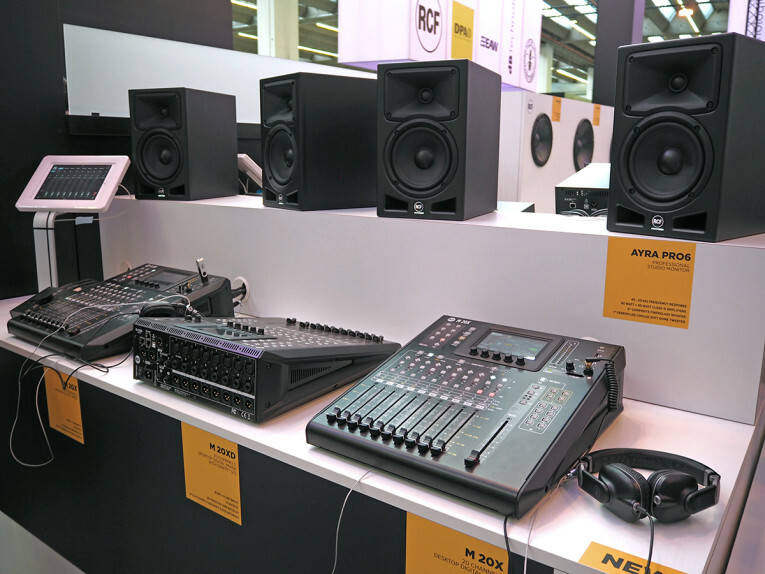 On the RCF section of the booth, visitors could find an extended range of mixing and recording solutions, including new studio monitors and four M series digital mixers: the M 20X, M 20R, M 20XD, M 20 RD. With Prolight+Sound 2019 becoming a single-hall trade show, it was hard not to notice a large area of the exhibits where RCF Group combined for the first time all its companies, including RCF, dB Technologies, EAW, DPA Microphones and its Advanced Native Technologies (ANT) brand, created in 2017 for the musician and performance markets. 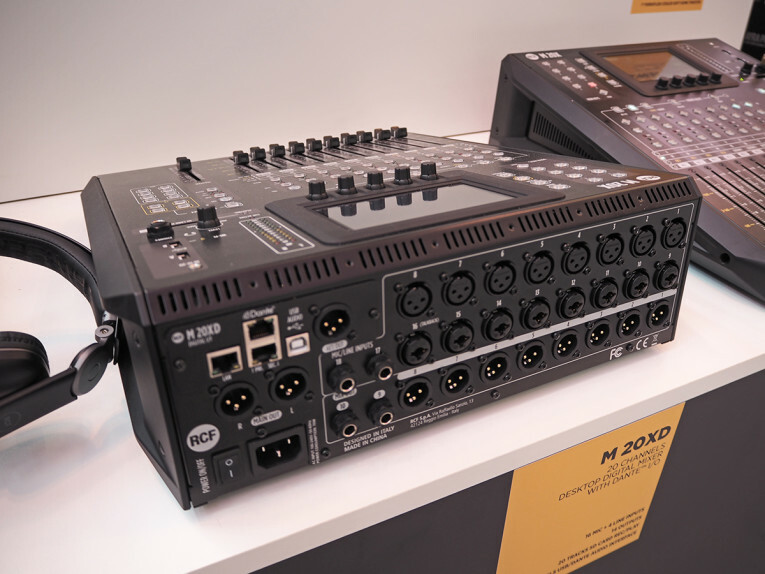 On the RCF section of the booth, visitors could find an extended range of mixing and recording solutions, including new studio monitors and four M series digital mixers: the M 20X, M 20R, M 20XD, M 20 RD. An impressive display of companies and a large booth marked the presence of RCF Group at the Prolight+Sound 2019 show. The new M 20 models on display, together with a complete range of products from RCF that include active studio monitors and even headphones. When it initiated its ambitious digital mixing platform development project in 2014, RCF was very clear that this would be a long term commitment. Following the successful launch, in 2015, of the first M 08 and M 18 digital mixers, targeting directly the musicians and live performance markets, RCF embarked on perfecting the software processing and control app features for these compact but powerful rack mount mixers. 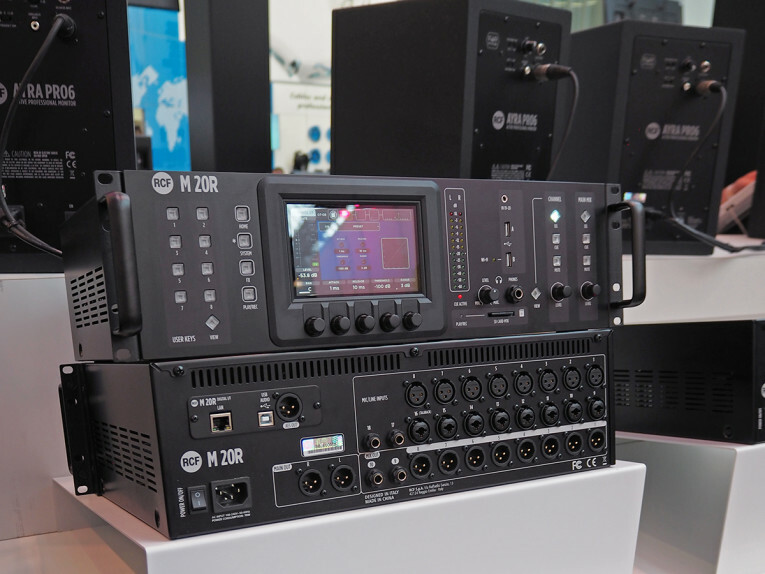 In 2016, the company hinted that the wireless-controlled digital mixer series would later extend with larger-format models, for larger production duties. That's precisely what RCF unveiled at Prolight+Sound 2019. A brand new digital mixer range, developed from the ground-up based on the feedback received with the previous M Series models. A complete, versatile family of four further M series mixers with added functionality — the M 20X, M 20R, M 20XD, and the M 20 RD — all packing 16 preamps, multiple recording options and an intuitive GUI. When RCF introduced its first M series digital mixer, the company focused on developing a new generation small-format and portable digital mixer, designed for creative use with iOS and Android WiFi control platforms. Something that both an audio engineer or a musician would be willing to use on any type of live performance and recording, and that would offer a combination of incredible processing power and convenient facilities. In fact, the RCF M series digital mixers explored a completely new concept, where the main unit provided a complete backline set-up, complete with amplifiers, stomp boxes and effects, all available wireless at the musician’s fingertips. That experience on developing the apps and all the different processing modules - akin to the familiar plug-in interfaces that all musicians and live sound engineers now use daily - provided a better idea about where to go next when creating a more powerful platform with more channels, but not necessarily much larger, as Umberto Zanghieri, R&D Manager of RCF's Digital Audio Division explained to audioXpress. 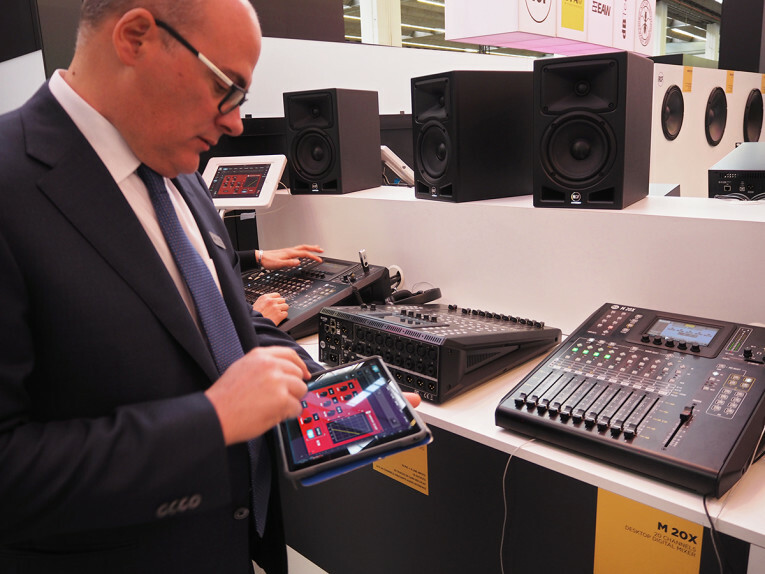 Umberto Zanghieri showing the capabilities and graphic interfaces for RCF's new digital mixers at Proligh+Sound 2019. All four DSP-rich consoles in the new M 20 series are fully recallable, with remote controlled preamps contained in a compact, ruggedly constructed chassis that can be a rack mount format unit (R version) or a more traditional compact desktop surface (the X model that also fits an 19" rack). All models feature 20 input channels with 16 high quality Mic preamps and 11 motorized faders in the 20 X, with eight XLR and eight Combo inputs, two TRS Inputs, and a Stereo Input on Mini Jack. There are 10 Output channels, with eight XLR and two TRS as well as two Main output XLR’s. All outputs are routable. The rear panel contains an AES-EBU stereo output, a USB audio 24x24 multichannel interface, and LAN port to connect an external access point for wireless remote control. All models feature a 5" capacitive high contrast touch screen with five encoders, for control of all the mixer’s capabilities. This screen feels responsive and robust, matching the experience of modern smartphones and tablets, while the graphic interface seems extremely fluid and logic. In addition, there are four Function buttons that recall the main pages on the screen and eight programmable User Keys. The motorized faders include 10 for Inputs/Outputs, and one for the main master mix. There are four fader layers (Input 1-10, Input 11-20, four FX return and six Custom faders, while the fourth is dedicated to the 10 MIX outputs). All channels contain hi-pass, gate, 4-band parametric EQ, compressor (ch 1-16) and gate, with four internal studio-quality Z.CORE FX engines. Effects include two Reverb, Delay and Modulation (which can be swapped for a further delay). There is 8-band parametric EQ on all outputs and 30-band graphic EQ on the main mix, with compressor / limiter on all outputs. Finally, there’s a Phones output and RTA (Real Time Analyzer) function to check the audio spectrum of any channel. Other key features of these M 20 mixers are three options for various multi-track real time recording and playback, with 20 tracks on SD card, in addition to a 24 x 24 channel USB 2.0 interface and stereo recording and playback on USB. One of the two USB ports on the mixer’s surface allows connection for USB/MIDI controllers or 5 Volt USB devices. The second allows for a WiFi dongle to connect a third-party device such as a tablet. The connection panel in the new RCF M 20XD mixer, with the Dante module and USB interface on the left. The M20 X model is the standard version with the USB interface, while the M 20 XD model adds a Dante interface for audio networking. The 3U rack versions — M20 R and M20 RD (with Dante) — don't have the moving faders but otherwise offer the same exact functionalities and remote-control capabilities. 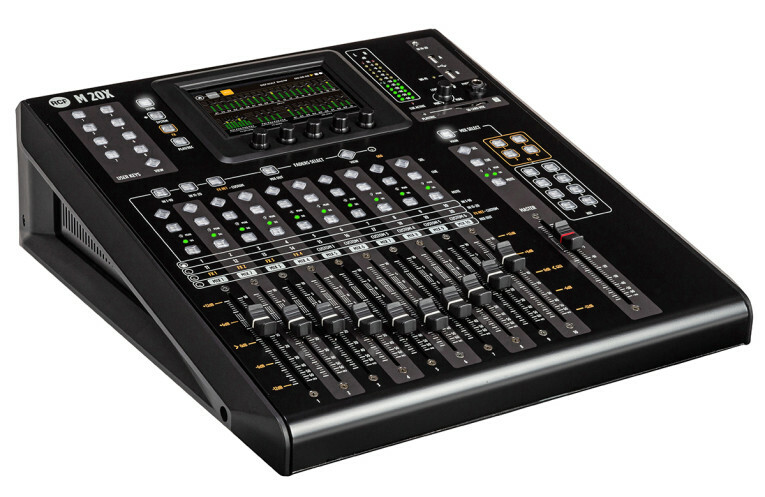 As Zanghieri confirms, the M20 X represents the first time RCF has produced a complete digital mixer with motorized faders, and the company hopes its compact form factor will appeal to not only musicians and bands, but also to an expanded range of usages, from rental companies to fixed installation in conference systems or as a sub-mixer for larger installations. The M 20R and M20 RD (with Dante) share the same exact specifications with the X models, in a rackmount format without the moving faders. RCF now intends to develop an extended Control App for both iOS and Android with an Attach function that will provide users with access to a larger touch surface and expanded screen to enhance the mixing experience. This is truly a flagship development for the Italian company, and an important achievement to signal the year the company celebrates its 70th anniversary. RCF is one of the oldest audio manufacturers, in business since 1949. Its comprehensive catalog currently covers all aspects of the audio chain and meets the requirements of musicians, sound engineers, architects, and system integrators. 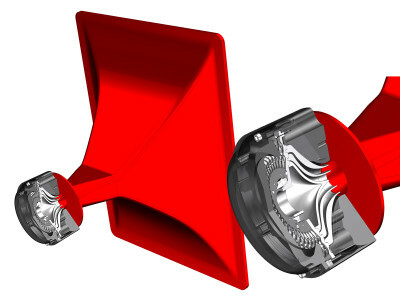 RCF is one of the very few companies owning both its transducers manufacturing and experienced digital/analog engineering providing a critical advantage both in the time to market of new projects and in the best cost/ performance ratio when designing complete systems. Over the years this advantage has enabled RCF to rapidly develop an incredibly extensive range of products to cover all market needs.